Pixi has long been one of the most respected brands in the business, their Glow Tonic cementing their place as a beauty expert with credentials that can ensure their products are in hot demand. But did you know Pixi has a funkier, edgier and more colourful little sister that’s set to make a comeback this year? 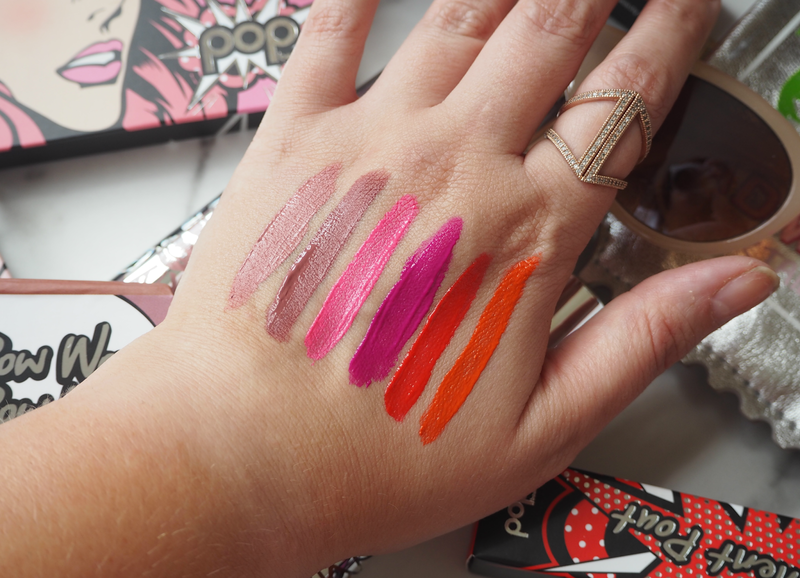 Pop Beauty was launched way back in 2002 and over the years it’s fallen by the wayside a little as we turned to more affordable alternatives to give us the hit of colour and creativity we desired. Under the Pixi brand remit, it’s historically provided a more youthful and fun approach to makeup versus Pixi’s lighthearted but hardworking products; however, Pop has found itself pushed to one side for the last time as it’s sure to take centre stage once again and prove that bright and retro concoctions aren’t just for teens. I can remember the flouro nail polishes that were popular ten years ago as a signal of my clubbing youth, but there’s much more to this brand than may first meet the eye. 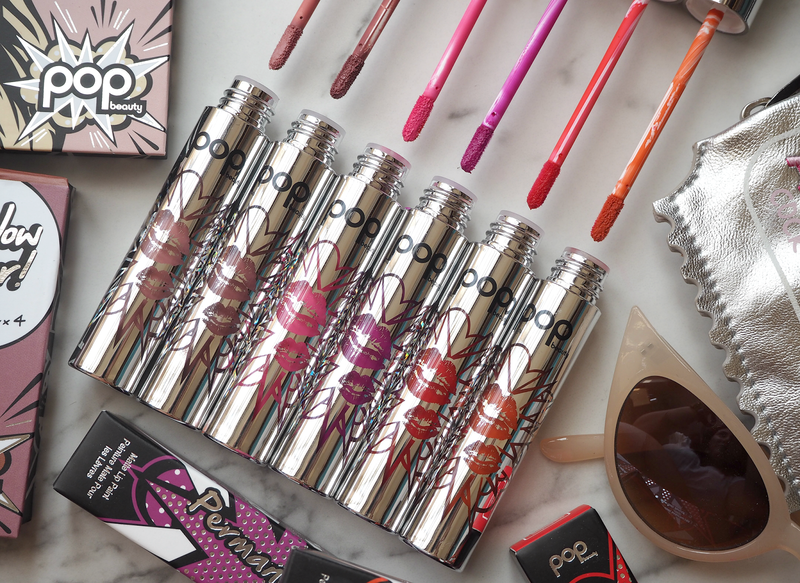 With a range of beautiful blush, bronzer and highlighting quads to keep complexions looking fresh and natural, as well as six shades of long-wearing liquid lipsticks, please welcome Pop back into the field as a brand you’ll be hearing more about from now on. hold you back from trying out something new. Some of the shades are understated and incredibly wearable (think Kylie nudes,) but others are much bolder and require more than a little confidence to pull off… But I’ve never let a flouro pink lip get the better of me! On the other end of the scale, the Pop Pow Wow Powders (£22.00) provide a quartet of natural tones to help create a base that’s glowing. 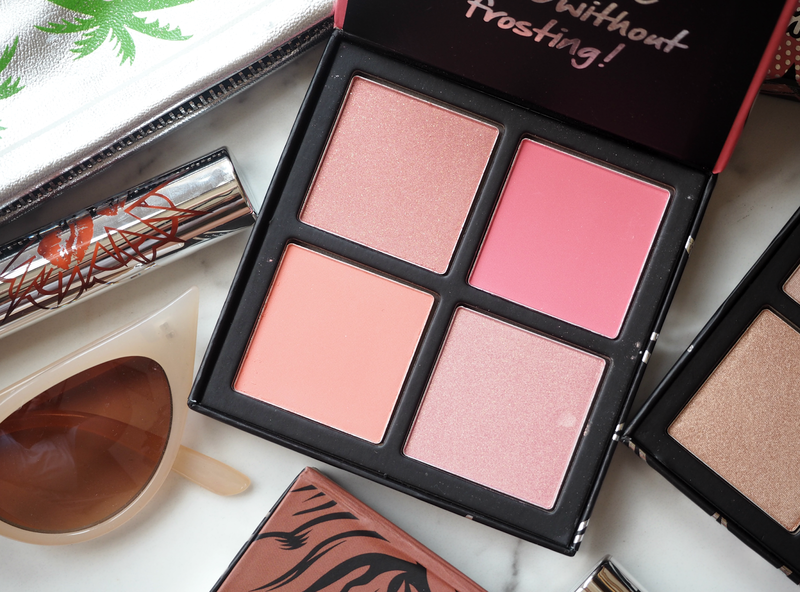 Available in a blush, bronze or highlight palette (with four complementary shades in each,) these will get you through the year with ease thanks to the pretty universal ability to add a touch of warmth or health to skin. The lightweight, silky smooth and blendable texture is easy to buff into my complexion (I love dusting the bronzing shades over my cheeks with the fluffiest brush I can find for a natural sunkissed look,) but also offers a great place to start if you’re a bronzing or highlighting novice. None of the shades are extreme or unwearable, which is refreshing amongst an industry that seems to put only one wearable shade in any new collection – rendering the rest useless until Halloween. 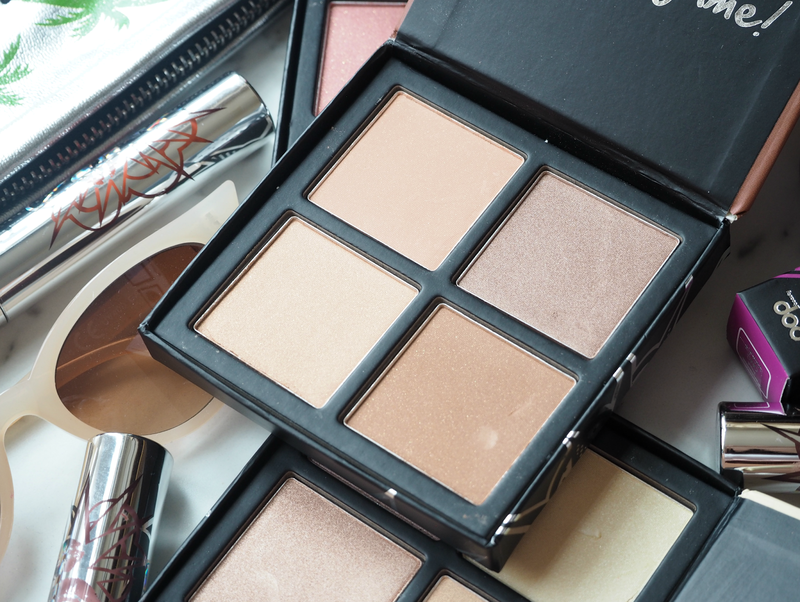 I do like the fact that together, this trio of face powders provides all you need to get you through the summer and into the colder seasons with ease; you just would’nt need anything else. The only downside to me is the cardboard packaging (I get that brands are trying to be more eco-conscious, but it just means products get trashed in a fraction of the time,) and the price point – which is a bit steep for a brand that’s supposed to be a playful little sister to Pixi’s more premium price bracket. 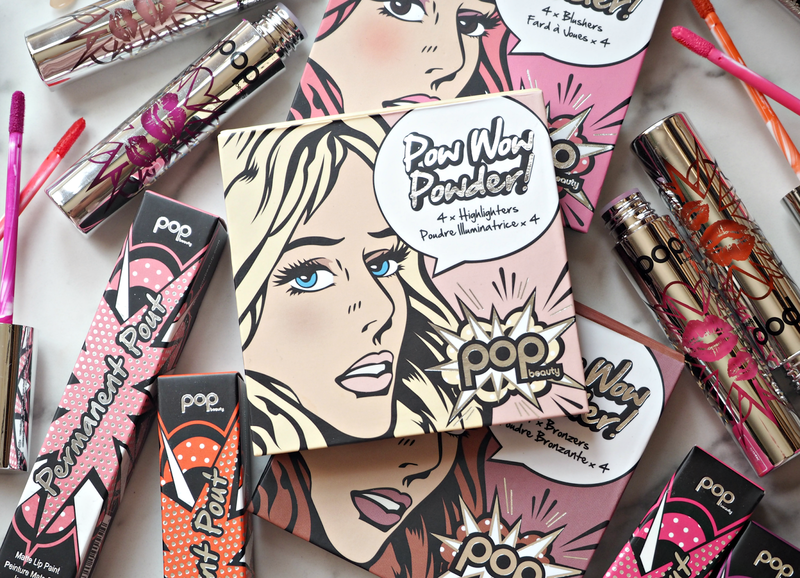 Have you tried Pop Beauty before? Do these products get your heart pumping? The Pop Beauty products are available online via www.popbeauty.co.uk and in store at the Pixi Carnaby Street boutique. I never heard about this brand but now I am seriously curious about it!!! The liquid lipsticks look really nice and the blush palette has beautiful shades. And the packaging is just adorable! these look amazing and damn!! those photos are killing me!!!!! Looks like a fun brand! Always up for trying new liquid lipsticks!